The latest update also makes it easier to find games and redeem codes in the store. 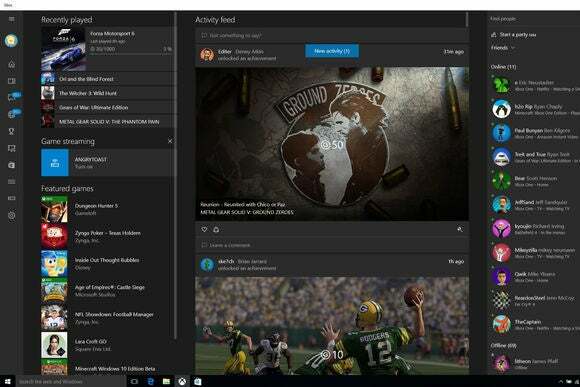 Last month, Microsoft released a public beta version of its Xbox app for Windows 10 so that gamers could provide feedback on new features before they’re released to the general public. On Friday, Microsoft announced a handful of new features for the beta app, including some bolstered social sharing tools. Xbox Live friends. The idea here is to make it easier to find people to play with. All you have to do is go to the app’s settings and link your Facebook account with your Xbox Live account. Game DVR gets some love in this beta update as well. With this new version of the beta app, you can now record yourself narrating your game clips as you play, saving you the hassle of having to go back in a video editing app and dub in your narration. Microsoft made a handful of additional improvements to the app as well, such as an overhauled Xbox store that features both Xbox and Windows 10 games. The new store also features enhanced search functionality, improved code redemption, and more. Anyone running Windows 10 can try out the new Xbox beta app for free and provide feedback to Microsoft: Simply head on over to the Microsoft Store to download the latest version.